The days are getting shorter and colder. 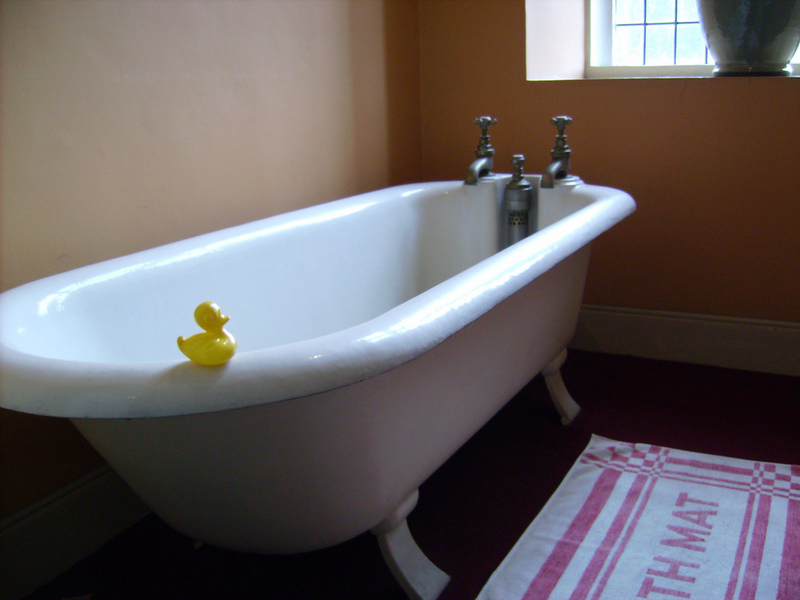 The idea of sinking into a nice warm bath often entices me. Aromatherapy helps to soothe emotions, but using bath salts in the tub has added health benefits. Time to grab my rubber ducky and dive in. To the human body, salt is as important as water or air. Salt maintains normal blood volume and the correct balance of water in and around the cells and tissues. It is also needed for proper function of nerve fibers and correct heartbeat. The sodium found in salt is an essential nutrient. Sodium, together with calcium, magnesium and potassium, helps regulate the body’s metabolism and muscle functioning. A common salt used in the bath is Epsom salts. Magnesium sulfate, or Epsom salts, has been used for centuries. Abundant in human cells, magnesium is needed for bone health, muscle control, energy production, and the elimination of toxins. Magnesium eases stress, aids sleep, and improves concentration while reducing inflammation, joint pain, and muscle cramps. Sulfates help to flush toxins from the body, prevent or reduce headaches, and improve brain function. The addition of essential oils to bath salts will enhance the experience. They’re also improved with sea salt, for another dose of magnesium and potassium, and baking soda, for pH balance so the salt doesn’t irritate. Combine Epsom salts, sea salt, and baking soda. Add essential oils, mix well, and store in a glass jar. To use, add 4 tablespoons to a tub filled with warm water. Mix the salts into the water to dissolve.